Don’t ask God to do what you want. Ask God to do what is right. Lead us not into temptation? The Lord’s Prayer « Anchor for the Soul. A new understanding of “The Lord’s Prayer. Martyrs in America? Maybe | BROKEN BELIEVERS. A very thought-provoking message. 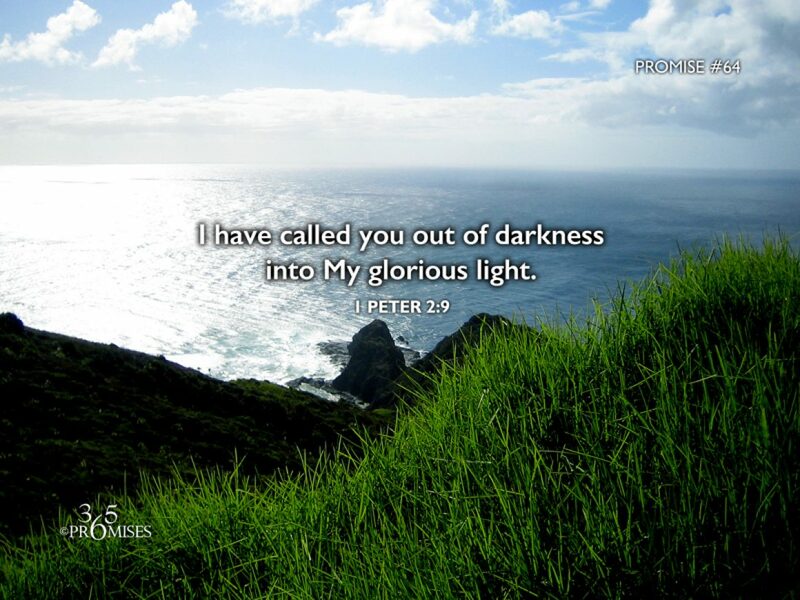 Life as a Christian isn’t challenged yet. But is it coming? Is an overflowing cup full? The wine reaches the rim and then tumbles over the edge. The goblet is not large enough to contain the quantity. According to David, our hearts are not large enough to contain the blessings that God wants to give. He pours and pours until they literally flow over the edge and down on the table. The last thing we need to worry about is not having enough. 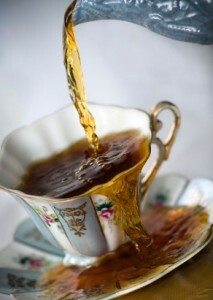 Our cup overflows with blessings. therefore in their land they shall possess the double: everlasting joy shall be unto them. Promise #250: I will give you a double portion of your inheritance in exchange for your shame. In the Hebrew tradition, the eldest son of the family would receive a double portion of the family’s inheritance. So if I understand it correctly, if there were 5 heirs, the inheritance would be divided 6 ways and the eldest son would get 2/6, or double the inheritance that his brothers and/or sisters received. Isaiah 61 is a prophetic declaration of freedom pointing to the day when Jesus would come to the world and be the fulfillment of all the promises made in this amazing chapter of the Bible. You can read more about this in Luke 4:14-20 if you like. Isaiah declares that the coming Messiah will bring freedom to the captives, comfort for the grieving and beauty for ashes. 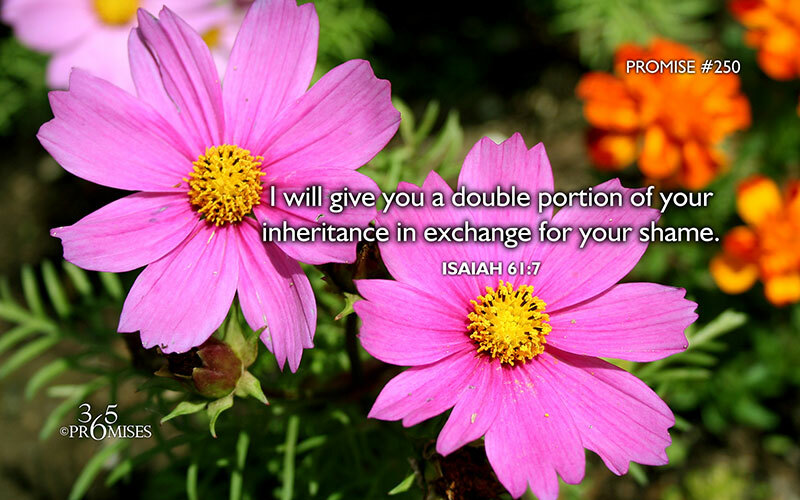 He always declares that we will exchange our shame for a double portion of our inheritance! Since the double portion belongs to the eldest son, we know that this promise is referring to us sharing in the inheritance of our elder brother, Jesus Christ. No longer do we need to carry the stigma of shame! God has made us heirs of inheritance and joint heirs with Jesus (Romans 8:15-17). May the reality of all that is proclaimed in Isaiah 61 become a tangible benefit in your life today. Instead of shame, you will receive a DOUBLE PORTION of your inheritance!